With AMSOIL European Car Formula 5W-40 Synthetic Motor Oil (AFL) meeting mid-SAPS requirements and European Car Formula 5W-30 Synthetic Motor Oil (AEL) meeting low-SAPS requirements, the addition of European Car Formula 5W-40 Full-SAPS Synthetic Motor Oil (EFM) provides virtually full coverage of the European car market. 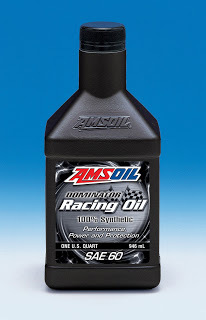 AMSOIL DOMINATOR SAE 60 Synthetic Racing Oil (RD60) is engineered with advanced synthetic technology to better withstand the elevated rpm, high temperatures and shock-loading common to racing and high-performance applications. 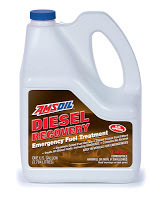 AMSOIL Diesel Recovery Emergency Fuel Treatment applications operating in extremely cold environments face some unique challenges. As the temperature drops, wax naturally found in diesel fuel begins to form crystals. The point at which wax crystals form is known as the cloud point. These wax crystals can eventually clog the fuel filter and starve the engine of fuel, preventing it from starting or even stalling out a running engine. Because cold-temperature storage can be detrimental to the performance of some AMSOIL products, AMSOIL offers the following storage recommendations.